Of those polled, 96 per cent said they are happier now than they have ever been. *Driving their children around, the daily commute and the stress of running a family home are just some of the things the over 60s do not miss about being younger, according to a recent survey. Worrying about their weight, awkward first dates, being woken by an alarm clock and revising for exams and trying to get on the property ladder are other areas of life the Scotland’s retirees are more than happy to have left behind. Caring about what people think, ironing school uniforms on a Sunday night and hosting the family Christmas are also on the list. Researchers from retirement housebuilder McCarthy & Stone, polled 1,500 adults aged 60 and over to see which activities they are delighted to have dropped in their latter years. Of those polled, 96 per cent said they are happier now than they have ever been, 52 per cent said their relationship with their spouse is at its best now with 49 per cent saying it was due to not having the stress of work and running a family home but 63 per cent simply put it down to having more time together. Nearly 73 per cent of those polled said they were happy with what they have achieved in life with marriage, children, owning a home and travelling the world among the biggest accomplishments. Lorraine Paterson, McCarthy and Stone sales and marketing director, said: “Many of the things the older generation don’t miss involve work – and that comes as no surprise. We are all looking forward to the day we don’t have to endure the commute to the office and deal with the stresses that our jobs place on us. 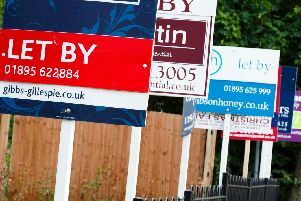 Twenty five per cent said they have already downsized with nearly 91 per cent claiming it has made life much easier. A quarter of the 1,500 people asked went as far to say it is the best thing they ever did and they wish they had done it sooner. Other plus points of selling-up the family home for a smaller property included cheaper utility bills, less DIY and maintenance and not being put upon to host all the big family parties. Freeing up equity in the home and having a better social life were also listed as benefits of downsizing according to the over 60s. The poll found that nationally, 67 was the perfect age to downsize; but of those who haven’t, four in ten said they can’t face the upheaval of a move. And 15 per cent said their current property has many emotional ties. Ms Paterson, added: “Deciding on when to downsize takes a lot of consideration. It’s a big step, but once the decision has been made many retirees have a whole new lease of life.